Poly bag and tube stock heat sealers. 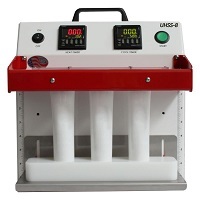 Heat sealers are great for increasing production capabilities that involve sealing bags, tubes, and more. 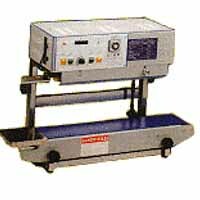 Heat sealers are either an Impulse or Constant-type heat. Impulse heats the wire for a set amount of time whereas the constant heat sealer is always hot. The construction of your bag will dictate which type of sealer you will need. 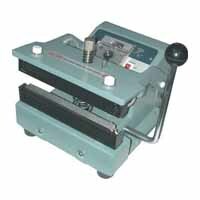 Impulse-type sealers generally give the best results. However, there are plenty of applications where constant heat may be preferred.